If what Top Rank boss Bob Arum says comes out to be 100 percent true, fans will have to continue to be patient in waiting for that big return fight between unbeaten heavyweight rivals Deontay Wilder and Tyson Fury. In an exclusive news story released by World Boxing News and subsequently picked up by a number of web sites, Arum says the target date for Fury/Wilder II is February of next year, and that both the WBC heavyweight champ and the lineal champ will have two fights each in the meantime. 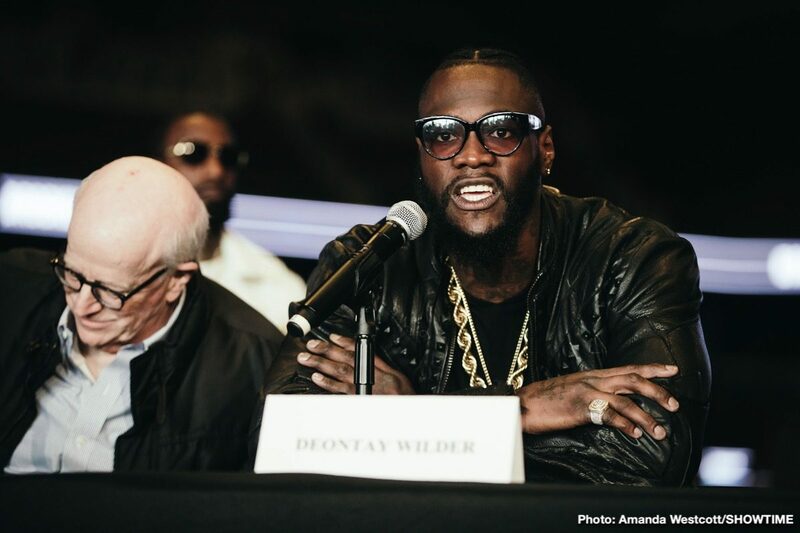 We know Wilder will face Dominic Breazeale next, on May 18, and Fury is tagged as facing Tom Schwarz next, on June 15, and both men will then have another fight before the end of the year – and then, all being well, they will meet each other again in an effort to settle their rivalry 11 months from now. Of course, the best laid plans can go to ruin. 11 months is a long time, especially in boxing, and though not too many people are expecting Schwarz to beat Fury or for Breazeale to upset Wilder, anything can happen between two big heavyweights. But just who might Fury and Wilder face next providing they do get safely past Schwarz and Breazeale respectively? Fans will be hoping Fury faces someone who has better credentials than the largely unknown German, as will fans be hoping Wilder makes his next defence against a bigger name. Fans will of course wait for Wilder/Fury II (what choice do we have?) and if these two men who gave us such a dramatic fight last December do actually rumble again next February, then this is better than nothing. An immediate rematch would have been far more welcome, of course, but better later than never.